Gaming enthusiasts wish to have the latest gadgets in their hands to enjoy gaming to the fullest. Gaming gadgets are available in the market from all price ranges. Most of the people try to purchase gadgets from the midrange category. There are very few good quality gaming mouse present in the market. 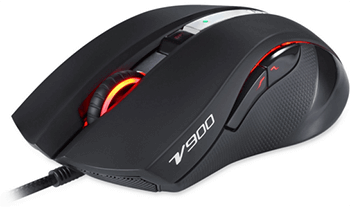 The Auawak Rapoo V900 is one of these good gaming mice. The best thing about the Auwak Rapoo V900 gaming mouse is that it has the latest hardware in it at an economical price. If we start from the build of this mouse than one could easily notice that it has a solid body with a smooth finish. This mouse is made to handle the pressure of heavy gaming quite easily. The buttons on this mouse are quite wide which means pressing them is easier for anyone. These wide buttons also ensure good grip in the hand as a result of which focusing the pointer is much easier and smoother. The scroll wheel is also great and due to its rubbery finish, this enables scrolling through weapons and other things much easier in fast paced games. Apart from these, there are two separate buttons on the side that could be used as per requirement. These buttons are easily accessible by the thumb which decreases the response time. Another amazing thing about this Auwak Rapoo V900 are the customized colors that it offers. These colors are generated using RGB LED lights and their proper combination can give out almost any color. 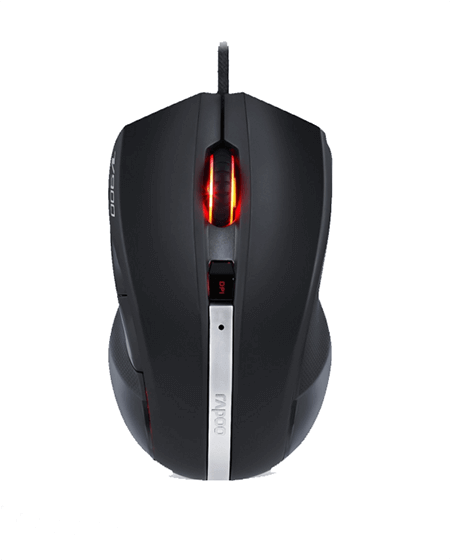 The mouse has an inbuilt memory that could be used to store all the data regarding the backlight color that you are using and other details regarding backlight mode. These colors give the mouse a really cool look which most of the gamers will surely love. The V-Power3 chip in this mouse is really powerful and has 32-bit 60MHz processing capability which is more than enough for a good gaming mouse. The report rate of the hardware is 1ms which is quite fast for most of the games. The AVAGO A9800 sensor that is designed to read and report accelerations of up to 30G. This sensor has an image processing speed of up 12000 frames per second coupled with a tracking speed of 150 inches per second. After processing and tracking with such high speeds, the mouse has a USB polling rate of 1000 times per second. All these features combined give an amazingly accurate tracking at all times. The mouse has a firmware of its own that can be updated through the PC. Apart from this, the drivers of this mouse, when properly installed on the computer, allows the users to fully customize the performance in almost every possible way. 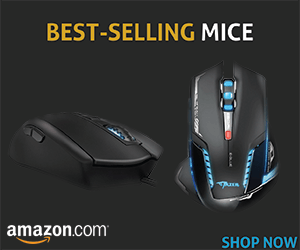 This mouse is a great deal if someone is looking for a mouse in the mid-ranges. The game looks, build and colors make this mouse stand apart from many other contenders.